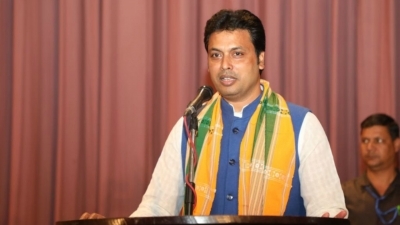 Tripura government has removed May day from the list of official holidays. It has now included Garia Puja a festival celebrated by the state’s tribal community, instead. “May Day is not observed as a national holiday in India. In most states, it is a restricted holiday. The Leftists, who ruled for 25 years, made it a holiday without realizing the day’s significance,” BJP spokesperson Nabendu Bhattacharjee said. May 1 will now be a restricted (optional) holiday. The move Garia puja Tripura drew flak from the opposition CPM, which called it an “anti-working class step”. “May Day is celebrated as a public holiday across the world. It is a day to celebrate the achievements of workers. Its origins go back to the labour union movement, specifically the movement – which advocated eight hours of work, eight hours for recreation and eight hours for rest,” CPM state committee member and former deputy speaker Pabitra Kar said, reports TOI. “This government had said it would respect the working class. But with this act, it has proven that it does not respect the working class,” he added.